Let’s Share Our Weekend Adventures! How did you get outside this weekend? The weather in the Reno/Tahoe area was looking a lot like spring, with a little breeze and decent temperatures during the day. There are plenty of outdoor activities going on in the area as the weather gets warmer. 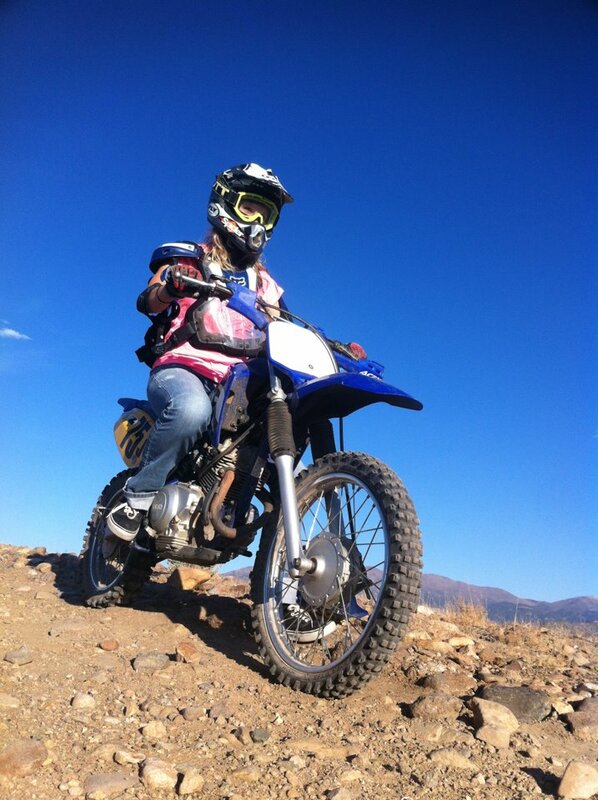 This weekend I was able to get outside by going dirt biking. I used to ride dirt bikes all the time when I was younger. My parents lived in a house that backed up to open range and dirt trails that you can ride for days into the Nevada desert. It was one of my favorite things to do with my friends when we were growing up. I was instantly reminded how fun the sport is when I got back on my dirt bike. There is something to be said for going back and trying or doing the activities you did when you were younger. What activities did you used to do all the time that you’ve hung up? This was a way for me walk away from my hectic life right now and revisit what I used to love doing. When I was on the dirt bike I was able to focus on the present completely. If you aren’t watching the terrain before you or focusing on what you’re doing you will crash. Out on the trails I was able to completely take in the beauty of Nevada. The tall Sierra Nevadas were across the valley, sagebrush ran as far as the eye could see, and the dirt trail ran over hill after hill. This experience outside was particularly special because I taught my girlfriend how to ride on Sunday and it was her first time doing a trail ride on her own bike. She did so awesome, and it was special to share with her something that I used to do and still love doing when I am able. Sometimes sharing the beauty of the outdoors is just as special as experiencing it yourself. What beautiful experiences have you shared with others? This entry was posted in Uncategorized on February 25, 2013 by joshvega. What’s the prescription for a bad day at work? We all have them, bad days at work. Nothing seems to be going your way or something happens that turns your day from good to “I can’t wait to get out of here.” I had one of those days this week. I was coming off a great, three day weekend and was not looking forward to being trapped inside for eight hours. I walked in to work with an overwhelming amount of emails and tasks and knew immediately that it would be a long day. I was right, it was one of the longer days I’ve had at work. People were not easy to work with and it wore on me as the day went on. I eventually hit a point where I had to take a breather and clear my mind. Luckily, my work is located literally right next to the Truckee River. I am able to walk outside the front doors and literally see the river, and the natural Nevada landscape to the south side of the river. It was exactly what I needed. The weather was pretty warm for a February afternoon and I found a little area next to the river where I could sit down and relax for a few minutes. The minute I sat down I tried to forget everything that was going on at work. I slipped into a form of meditation. I tried to tune my all my senses into my environment. I could hear the sounds of the river heading east, there were blue jays in the trees above me and I could hear dogs barking on the hill to the south. I had found my prescription. In nature and outdoors I can clear my mind, get back to neutral and it motivates me. Sitting outside this week I attempted to not think about anything. I suggest you try it. Gently push thoughts out of your mind as they come and simply try to meditate on nothing. I was able to come back to work without the baggage from earlier in the day. Have you experienced something like this? Please share how you were able to move past it! If not, I challenge you to seek out the sounds and beauty of nature next time you are stressed or unhappy. Tune in to your outdoor environment and see how it feels! 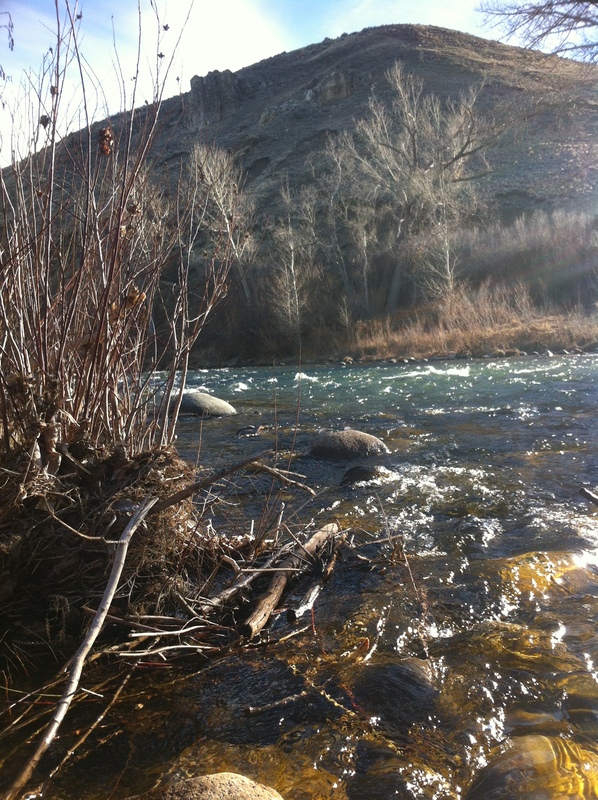 This entry was posted in Mindfulness and tagged Mindfulness, Stress, Truckee River, Work on February 22, 2013 by joshvega. Now that we’re outside, now what? Now that we all have an idea of what “being outside” means to me, I’m going to share where I’d like to go with that idea. In case you missed my blog about what it means to “be outside” here is the link. Now, let’s dive in to being conscious of our environment. I want to make the sweet things in life last. I’ve always been this way. When I was little I used to save my Halloween and Easter candy as long as possible in order to continue enjoying it. Just the other day I ate the last Twizzlers I had stashed in my desk at work from this past Halloween. Going to elementary school in South Lake Tahoe, I remember field trips every year in which we would go out and help conservation groups do projects for the lake and surrounding environment. We planted baby pine trees, we cleaned up rivers and fields, and took trips to the Kokanee Salmon Fish Hatchery to learn how conservation techniques could help this fish continue to live in the lake. Protecting the beauty of this area has been ingrained in me since I was a child. I am going to share ways in which we can all become conscious of our environment, and I encourage you to share your ways too. Working at Patagonia, our company donates time and money to non-profit environmental organizations around the world. Our Distribution Center in Reno, Nevada specifically donates a percentage of profits to organizations in this area. Some of them include: Keep Tahoe Blue: The League to Save Lake Tahoe, The Sugar Pine Foundation, and the Sierra Nevada Alliance. In future posts I will get into more detail of what each of these organizations do to help others become conscious of the beauty around us and the ways they are conserving this beauty for years and generations to come. Please leave a comment of beauty you’ve experienced, drop a name of an organization you know doing good things for our environment or post a picture of a spectacular shot of our backyard. This entry was posted in Uncategorized on February 18, 2013 by joshvega. I’m going to share what “being outside” means to me so that you can hopefully relate or experience something similar next time you are outside. It can range from being physically active outdoors to taking 10 minutes from work to walk outside and absorb as much fresh air and sun as possible. Overall, being outside means being completely in your outdoor element or environment. This is physically, mentally, and emotionally experiencing what is around you, how it is affecting you, and how you are affecting it. I don’t always have this experience every time I am outside. The first time I can think that I had an experience like this I was up at Lake Tahoe. 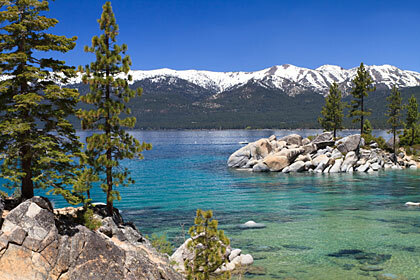 Lake Tahoe is one of my favorite places to be outside and enjoy the outdoors. I had just gone for a bike ride around a part of east side of the lake. The lake was just over the guard rail, so I jumped off my bike and walked down to some rocks overlooking the lake. I sat there and tried to take in everything I was seeing. The color of the water was bright and I could see right through the water everything that decorated the bottom of the shallow part of the lake. The water looked so refreshing. The powerful mountains were both across the lake and right behind me, still decorated with snow, even though it was a warm spring day. I could feel the sun warm on my face and the heat radiating from the rock beneath me. This made the water look that much more delightful. I sat on the flat rock and felt completely in the moment, nothing else mattered. I scanned my body and I could feel all the sensations that the environment was putting off. I could feel my unclothed pores absorbing the rays of sunshine. I listened to the sound of the waves hitting the sand beneath me. I saw amazing beauty before me, and became thankful for everything I was experiencing. I went from physically pedaling myself around the lake to stopping and being overwhelmed by the beauty around me to the point where I became thankful for where I was. This is the type of outdoor experience I hope that you can relate to or have if you haven’t already. I live for these moments and will continue to share them throughout this blog, and I encourage you to share yours as well! This entry was posted in Lake Tahoe and tagged Experience, Lake Tahoe, Overwhelming Beauty on February 17, 2013 by joshvega. I ski, snowboard, mountain bike, road bike, run, camp, wakeboard, and enjoy doing any outdoor activity. 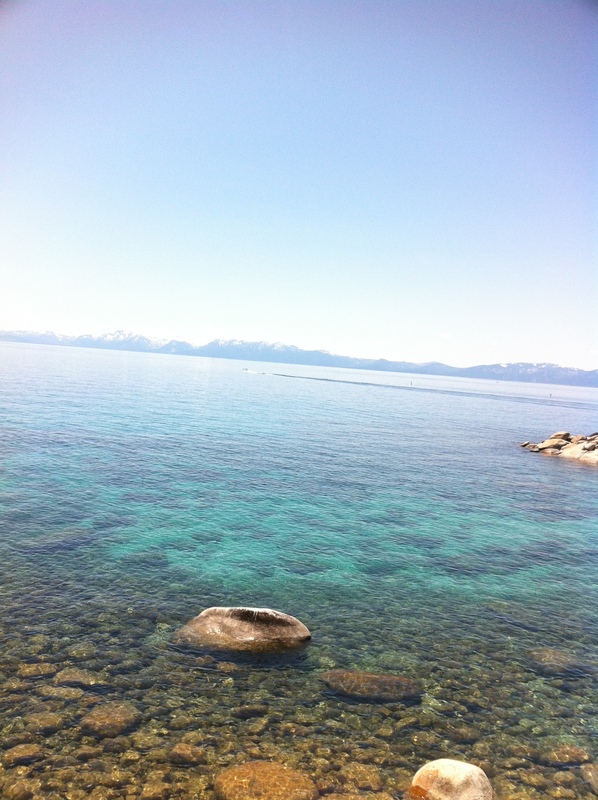 I have a deep love for Lake Tahoe. It is my favorite place in the world. I have had countless days where I am doing an activity outside, up at the lake, and I stop, and try to take in all the beauty that the landscape has to offer. When I am in that moment, I am alive. I feel extremely blessed to have grown up and played all around the Lake Tahoe area. I become completely overwhelmed by the beauty of the lake and surrounding area. It is something that can be indescribable. The best way I can explain it is by acknowledging the beauty I am seeing, trying to take in every little detail, and give thanks to the one who created it all. I also feel the desire to preserve this beauty. I want to look at the same exact lake in 50 years and see what I saw when I was kid. I want my kids to be able to see the beauty of this area. I want to “keep Tahoe blue,” and do what I can to ensure that our environment stays as beautiful in the future as it is today. This is what my blog will be about. I will share my outdoor experiences, in hopes that others can feel the same thing. I will inform about our environment, in order for those around me to become more conscious of our environment. I will also share ideas and efforts being used to preserve our environment. 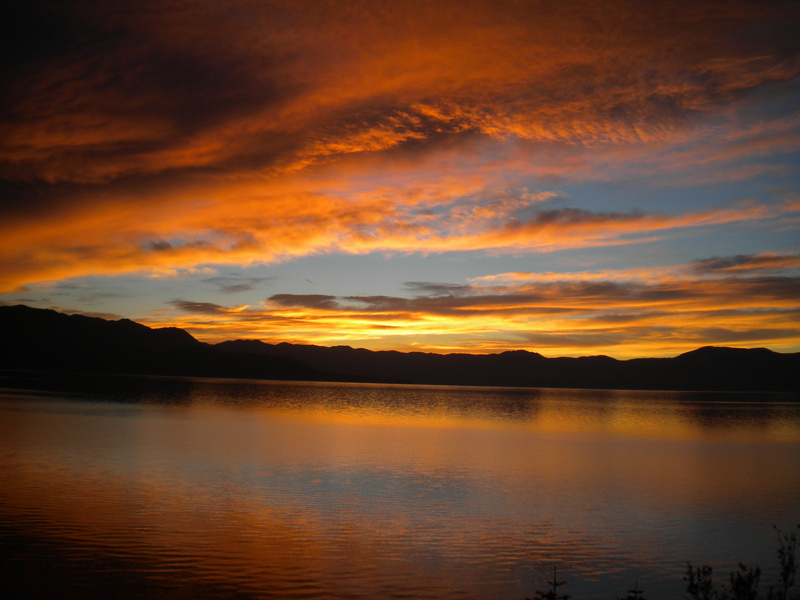 This entry was posted in Lake Tahoe and tagged Activities, Beauty, Environment, Outdoors on February 9, 2013 by joshvega.